Do you want to be a wizard? Like Harry Potter? We think about it all the time. Unfortunately, no matter how many applications we send in to Hogwarts School of Witchcraft and Wizardry, they never seem to reply! 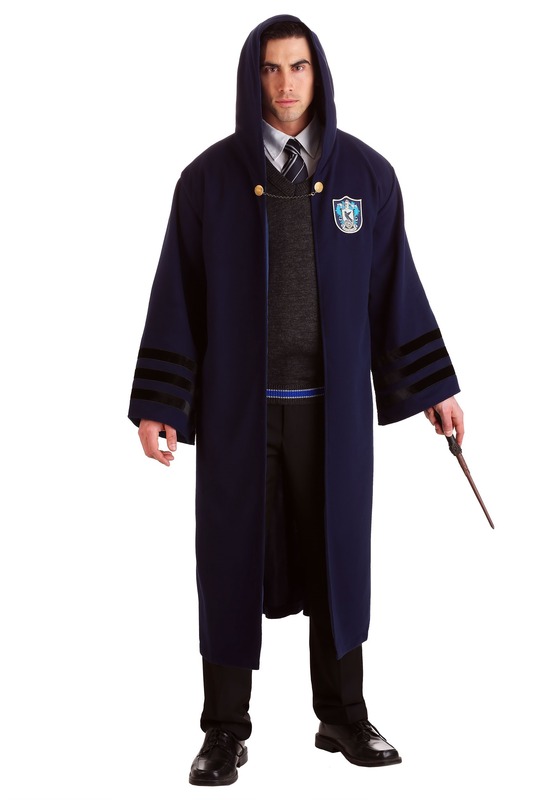 We’ve been waiting for quite some time now and we’ve started wondering if there’s another way to become a wizard… through the power of costume! Sure, we don’t know much about magic spells and the closest we’ve ever come to creating a potion is adding cinnamon to coffee. We do know how to get the best replica costumes though! 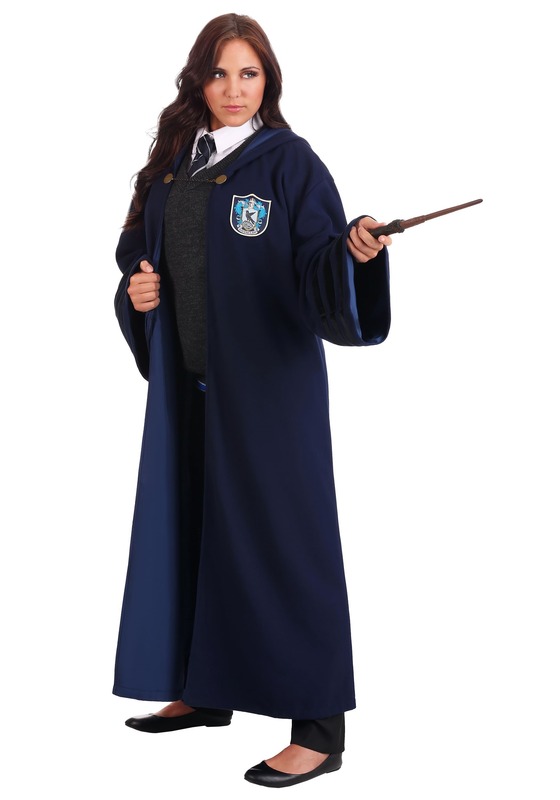 For you would-be Ravenclaw students out there, this vintage Harry Potter Hogwarts Ravenclaw Robe will help you look like a true wizard as you try to figure out all of that magic business on your own. 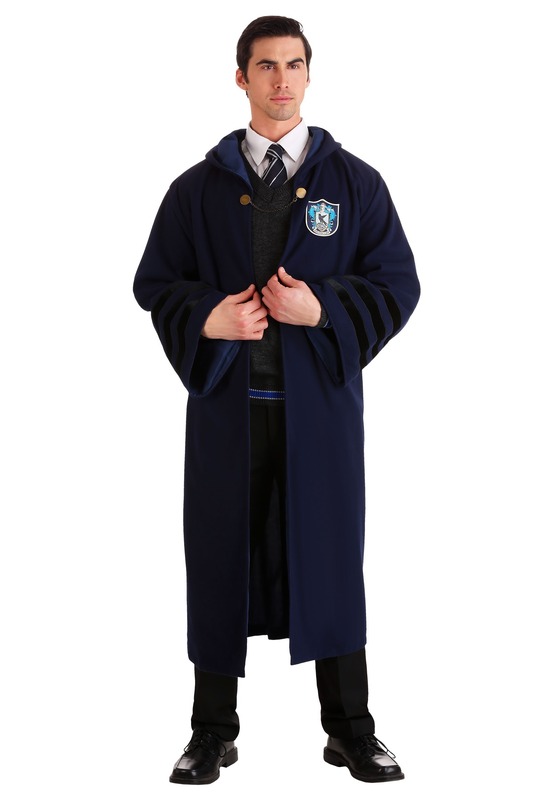 This Vintage Harry Potter Hogwarts Ravenclaw Robe comes with plenty of details that any Harry Potter fan will enjoy. 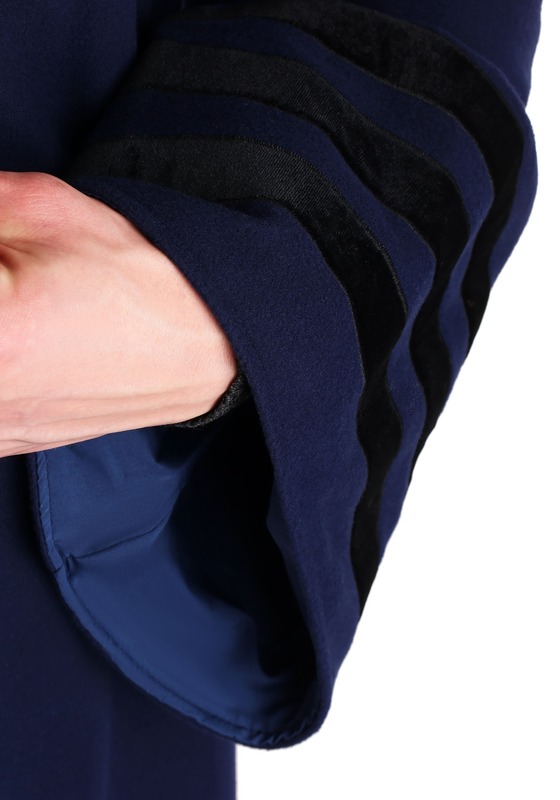 The robe is a deep navy blue color and is made out of a thick fabric to recreate the iconic look from the movies. 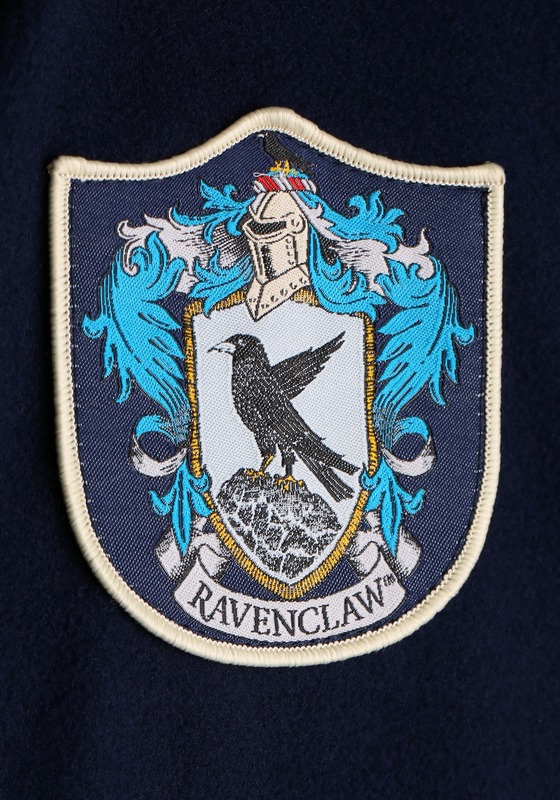 It fits with a metal claw clasp in front and it even features a Ravenclaw House patch sewn onto the chest. 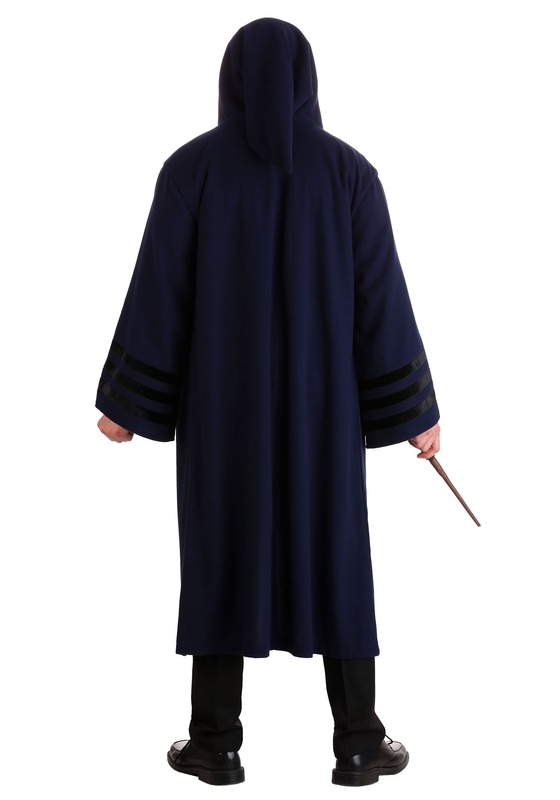 It has an attached hood, which you can throw on for a wise wizard kind of look! 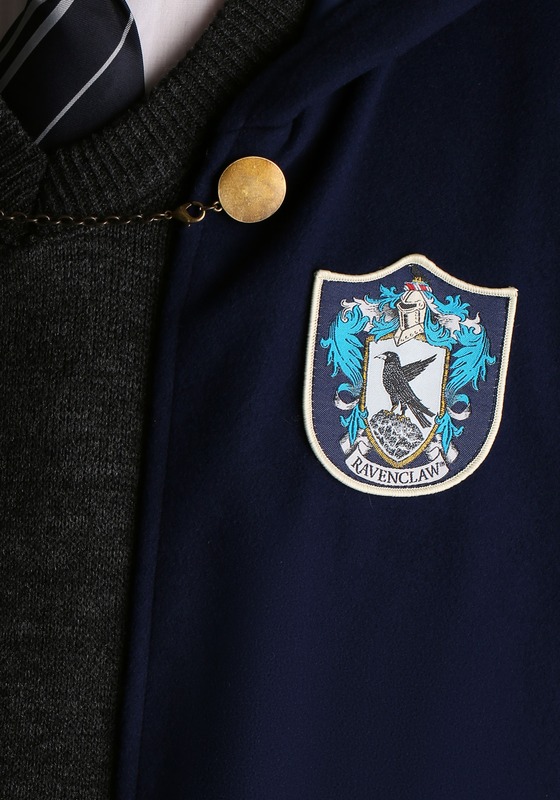 Just throw it on over your Ravenclaw sweater and you’ll look like you’re headed to your potions class. If you’re a muggle, still waiting to get your acceptance letter to Hogwarts, then this vintage Harry Potter robe is for you. 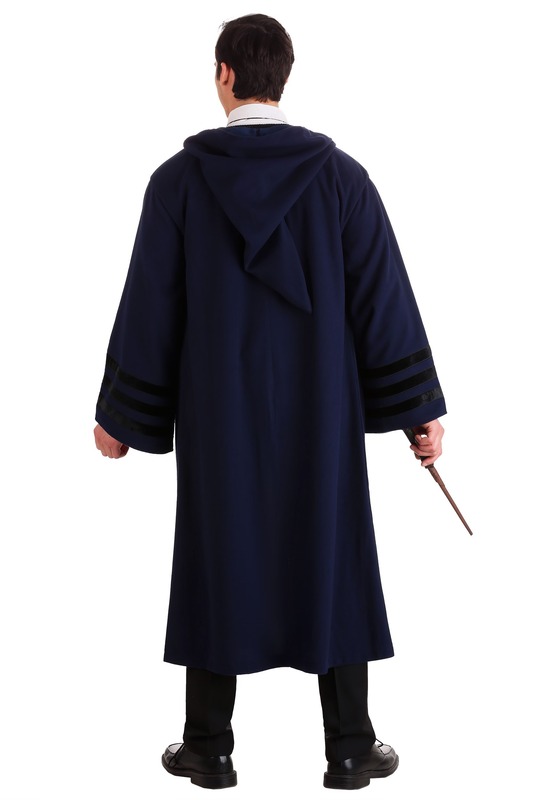 If you’re already an accomplished wizard in your own right, then it’s never a bad idea to have a backup robe handy. 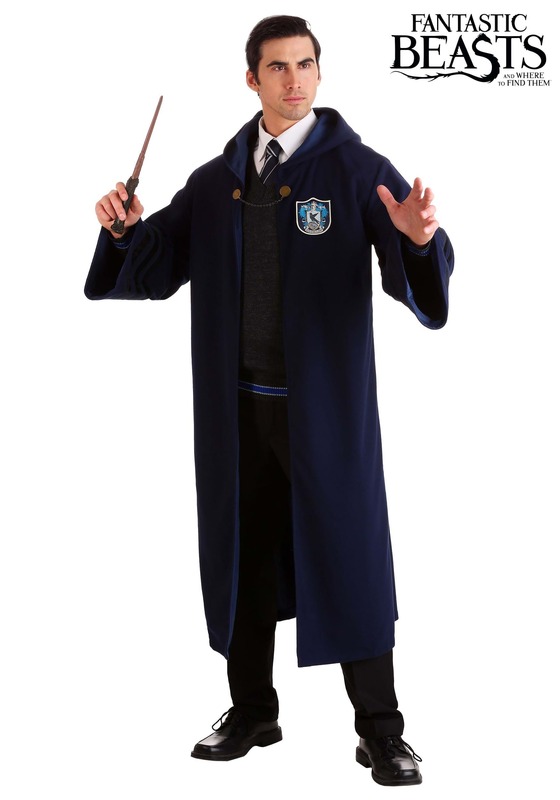 Just make sure that you have a wand of your very own at the ready when you wear it!